A big congratulations to the winner of the Grow Smart Games giveaway for a My Pocket Games or I Spy Sensory Stick — #178! "I'd pick an I Spy Sensory Stick for my son." This was a joint giveaway with Natural Parents Network, so entries were combined and one winner drawn. 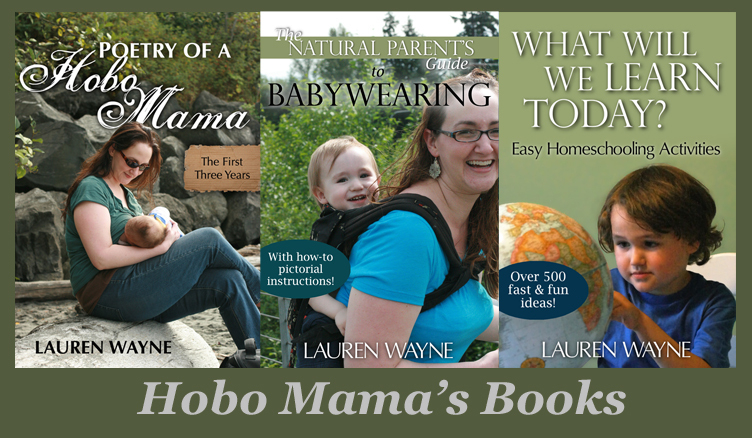 Tylerpants entered at Hobo Mama Reviews. Grow Smart Games is a wonderful Etsy shop that exclusively features these two fun and entertaining, hand-crafted toys: an I Spy Sensory Stick, which is a tubular spin on the I-spy classic, and My Pocket Games, travel-friendly laminated cards with several familiar games, like Hangman and The Alphabet Game. Both toys promote learning, help children strengthen skills, and provide opportunities for interacting with others. Grow Smart Games believes that simple, old-fashioned games are still the best! 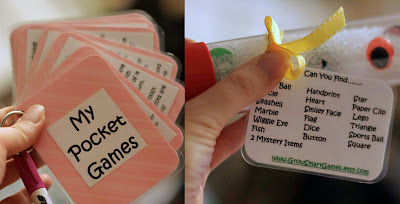 If you were not the lucky winner, you can buy My Pocket Games or I Spy Sensory Sticks online from the Grow Smart Games Etsy shop. My Pocket Games come in different colors and sell for $5.50 for one, or $10 for two. They would be a great little present to slip into a stocking or as a bonus inside a larger package. Shipping is $1.75 for one to US or Canada or $0.50 with an additional item. An I Spy Sensory Stick costs $8. Shipping is $3 for one to US or $3.25 to Canada or $1.25 to either with an additional item. An I Spy Sensory Stick would also be a fun stocking surprise! Disclosure: I received free products for review.